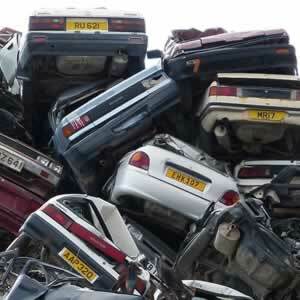 Scrap metal merchants in Leicestershire. TBD Morris Recycling are one of Leicestershire’s premier metal recycling companies, providing you with skips and/or lidded bins to best suit your scrap metal recycling requirements. Contact TBD Morris Recycling for a no obligation, on-site survey to advise you of the best methods for scrap metal recycling. All scrap metals will be collected and processed at our waste management centre in Loughborough. We are an Authorised Treatment Facility (ATF) for end of life vehicles; in addition we can cater for the disposal and recycling of vehicle tyres. 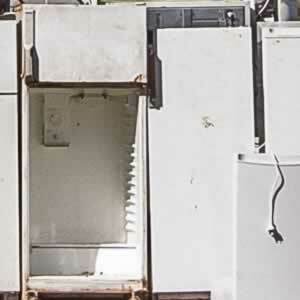 Recycling fridges, freezers, cookers, washing machines and dishwashers are normally known as ‘white goods’. Equipment contaminated with refrigerants, oils or containing ozone depleting foam will normally be classed as Hazardous Waste and require treatment in accordance with Hazardous Waste Regulations 2005. TBD Morris Recycling can assist by correctly recycling your old white goods. Our years in the industry enable us to efficiently recycle fridges, freezers, cookers and so on, the most common of household white goods, with the quickest of turnarounds. 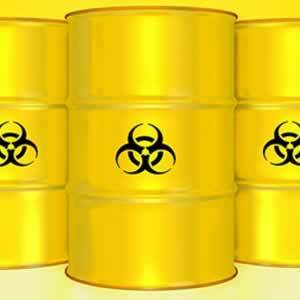 We are a licensed hazardous waste contractor and can arrange for the necessary documentation, collection and processing of your waste in accordance with all relevant legislation. Most equipment is taken directly to a processing plant where it is dismantled, hazardous components separated and disposed of, with the remaining material recycled. We handle all waste accordingly, arranging for the necessary personnel, plant and transport. End of Life Vehicles (ELVs). On Monday 3 November 2003, the End-of-Life Vehicles Regulations 2003 came into effect. These Regulations apply to sites used for the storage and treatment of ELVs. The Regulations require operators to hold a site licence if accepting vehicles which have not been de-polluted and set new minimum technical standards for all sites that store or treat ELVs. The End-of-Life Vehicles Directive passed into European law in October 2000 and was due to be transposed into national law in all Member States by 21 April 2002. This was delayed (as in most other Member States), the UK is currently in the process of introducing the remaining provisions relating to producer responsibility Articles of the ELV Directive (5 and 7) and these will be transposed through the End-of-Life Vehicles (Producer Responsibility) Regulations 2005.